The competition – which challenged entrants to design fully accessible footbridges that could be used across Britain’s rail network – was won by Gottlieb Paludan Architects, whose design, featuring a bold, elegant bridge with a resolved design aesthetic, has now been added to Network Rail’s catalogue of improved station footbridge designs. The winning entry is one of many designs that will be on display at the RIBA exhibition, running until April 2019. The exhibition will then be showcased at two of Network Rail’s managed stations – London Waterloo and Manchester Piccadilly. It follows the publication of Network Rail’s Principles of Good Design and the launch of Network Rail’s Design Panel, which aim to ensure that a strong design culture is embedded into the requirements for anyone investing in our assets. 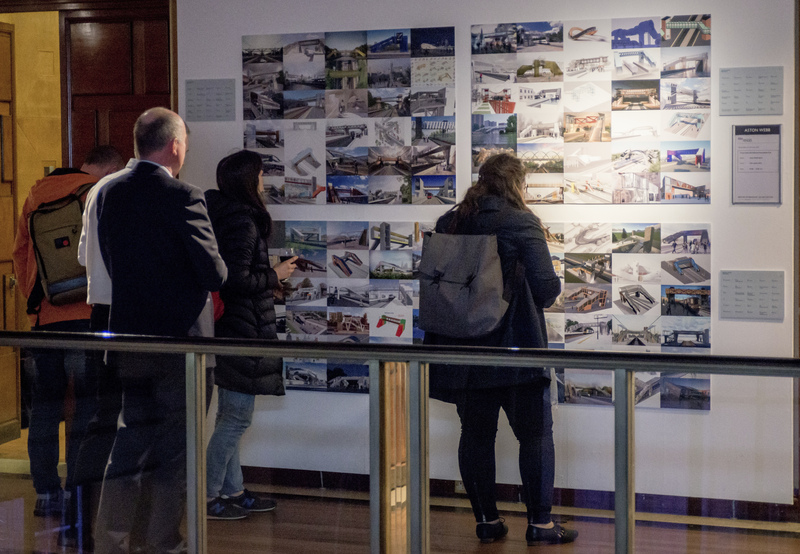 Anthony Dewar, head of buildings and architecture at Network Rail, said: “The competition has proven to be a huge success, and the fact we received more than 120 entries from 19 countries demonstrates how seriously it has been taken by the international design industry. “I would like to thank everyone – organisations, design professionals and students – who took the time to submit an entry. The judging panel was genuinely impressed with the high quality of submissions.